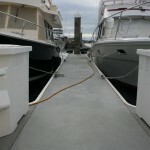 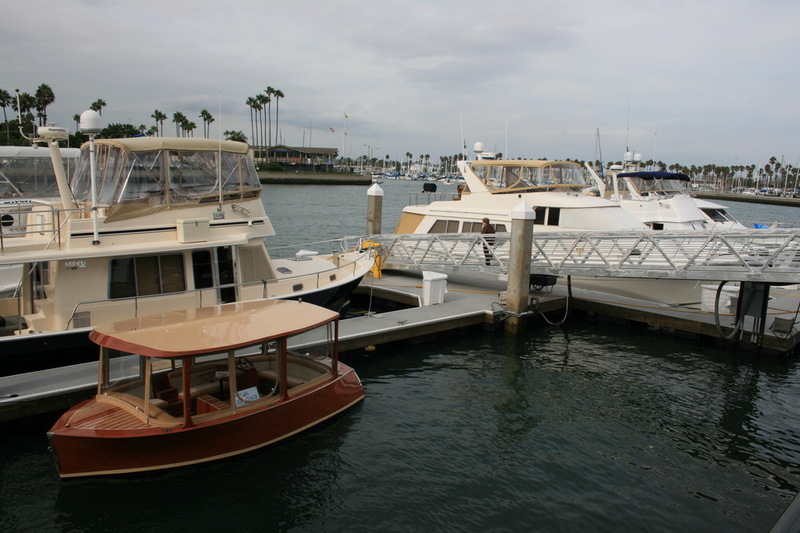 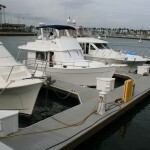 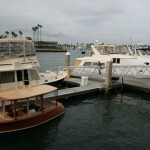 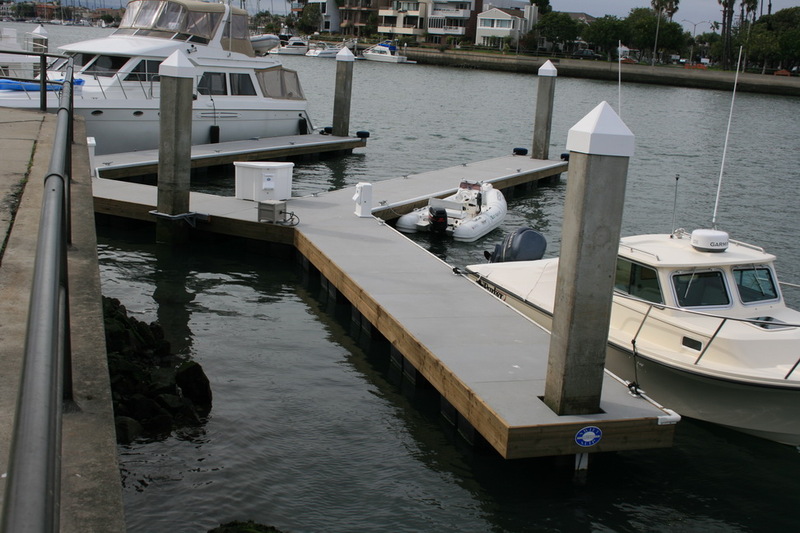 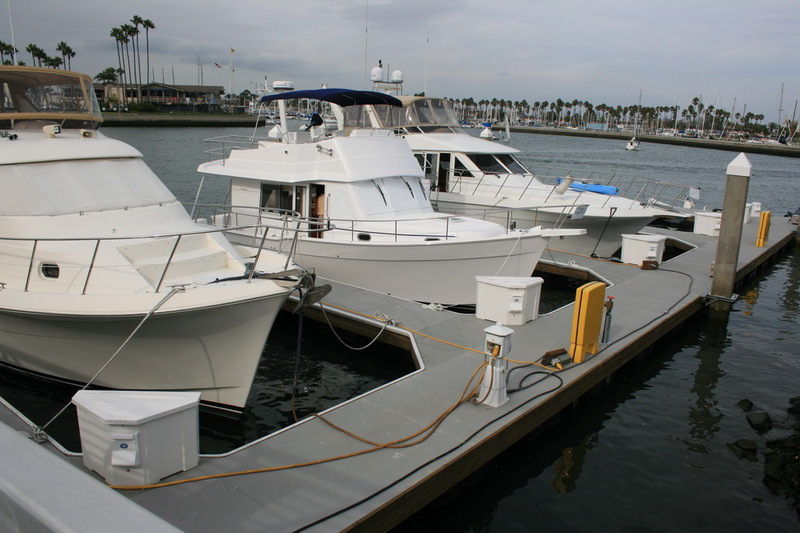 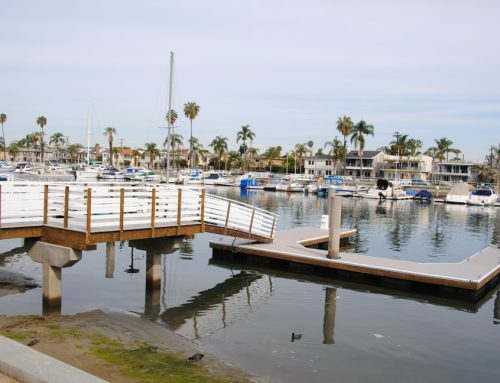 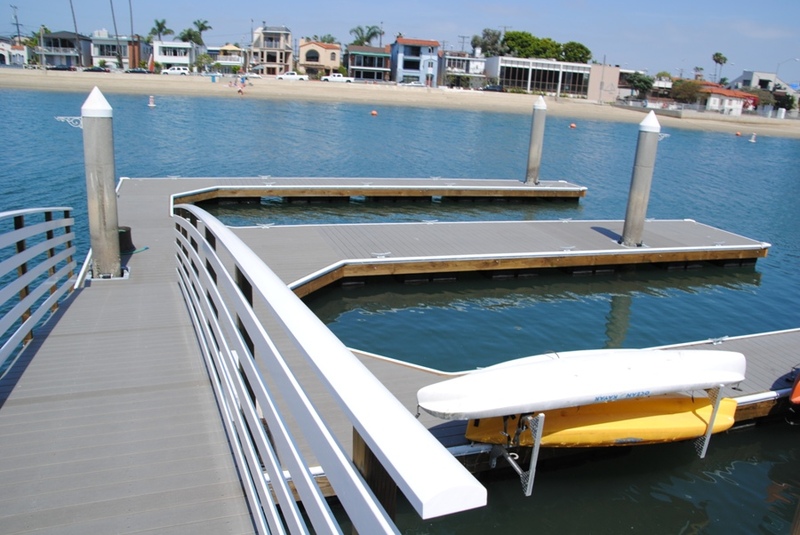 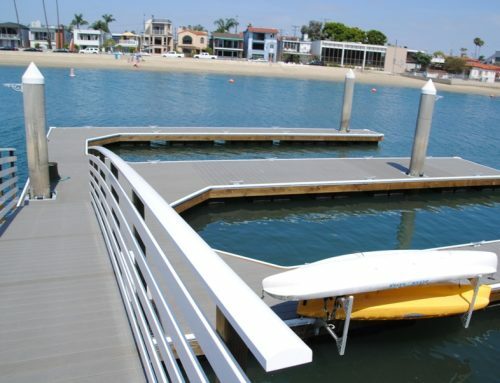 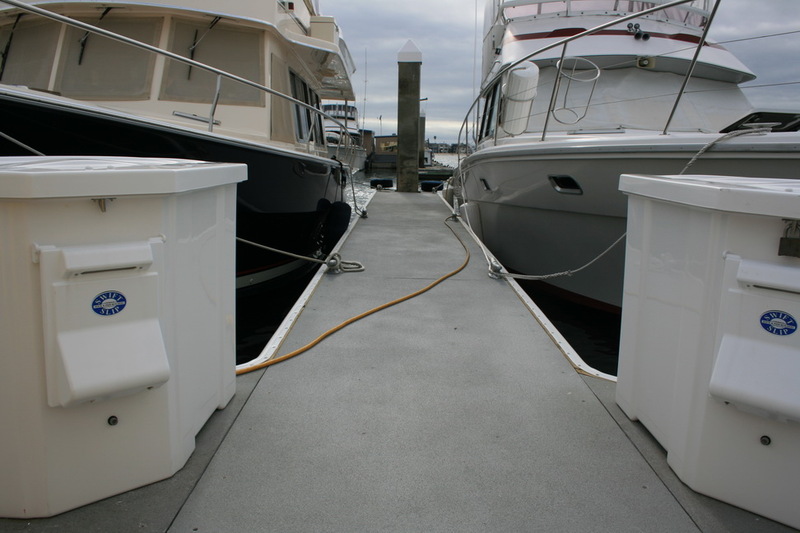 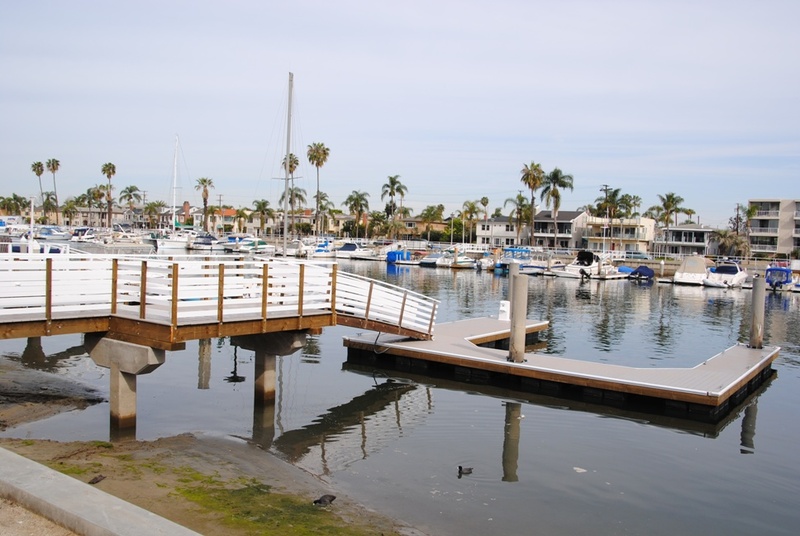 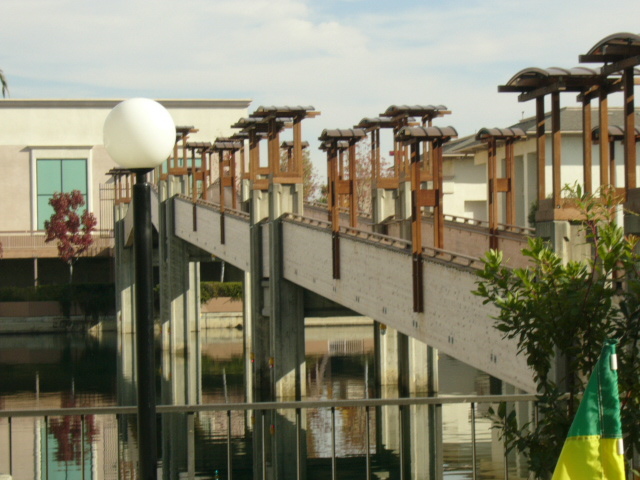 This is a Marina in Long Beach with fiberglass decking. 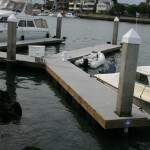 It is a unique design as it wraps around a point. 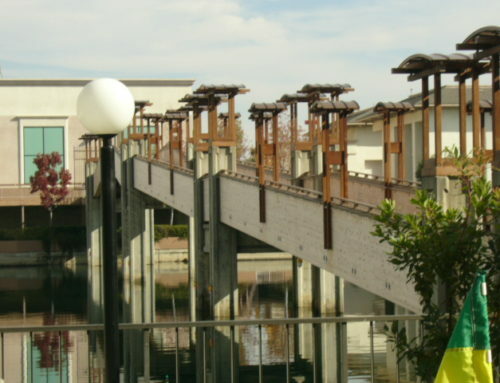 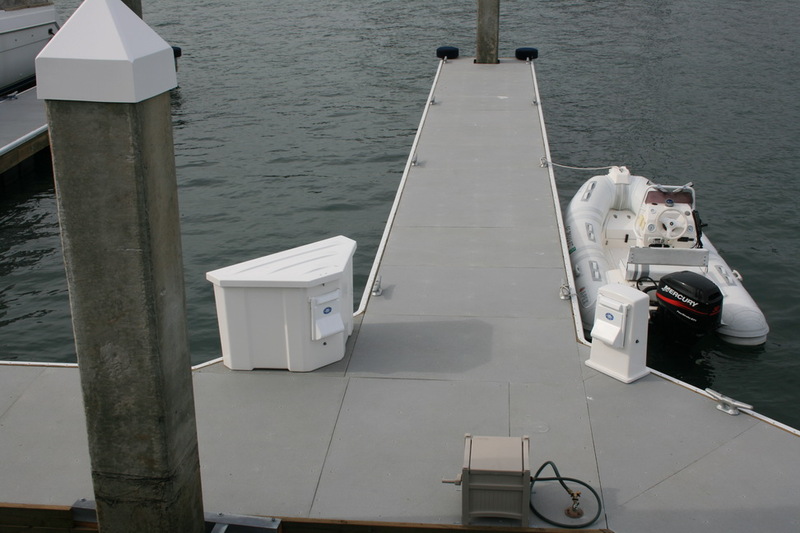 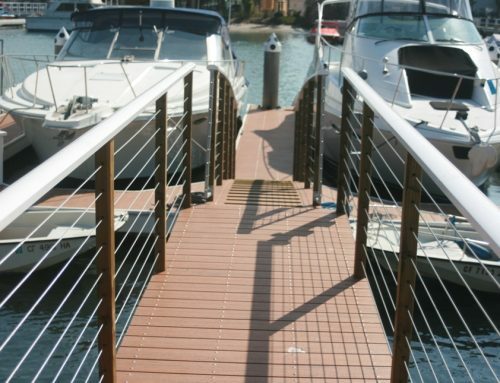 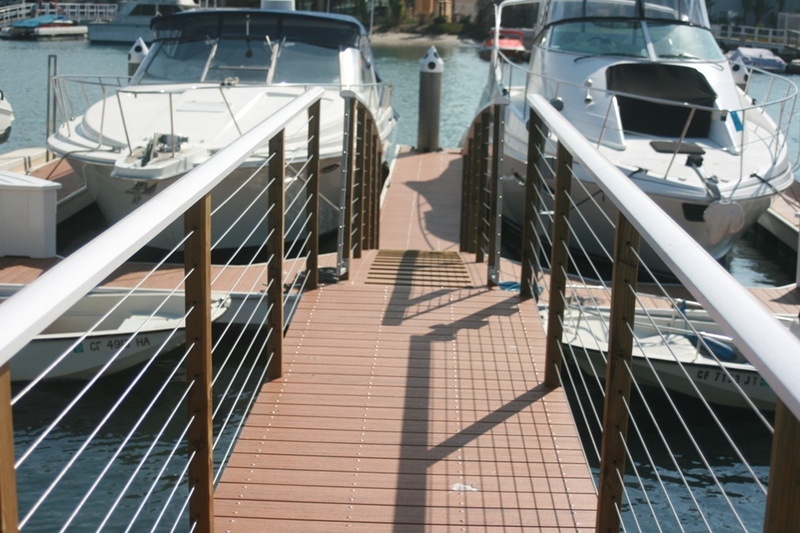 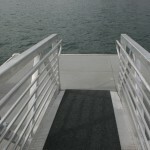 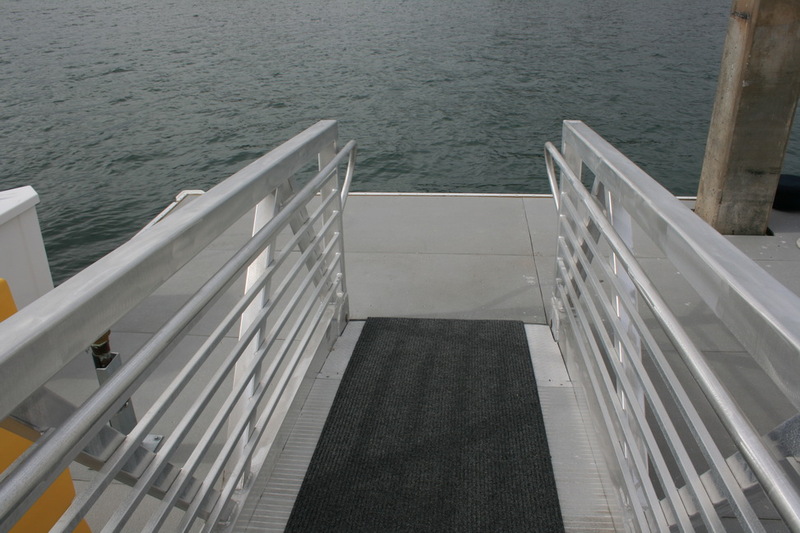 This marina uses an ADA compliant aluminum gangway. 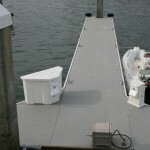 It is complimented by dock boxes and utility stands.